For people just beginning to shop career services for a resume or those who only want a quick critique, I offer an email consultation or a brief phone consult at a very low cost. These are budget friendly and offer a chance to take advantage of my professional expertise. If you hire me to create a professional resume or assist you in other career development plans, I need to get to know you better. Some individuals and organizations use only a questionnaire. I start with an in-depth questionnaire, followed by a phone interview. The questionnaire asks about your career goals and experiences. If you have an electronic version of your existing resume, please include it, unless I already have it. The phone consultation helps decide how to best market you to employers. Hearing you talk and interacting with you helps me understand your needs, as well as your personal style. An in-depth phone interview insures that I know everything necessary to make you stand out! What is included in the resume, or excluded, is always up to you. Complete information simply allows me to offer the most appropriate suggestions for your situation. Your resume is personally prepared within 2-3 business days after your questionnaire, phone consult, and payment are received. If you need a resume faster, contact me to discuss a rush request. You may choose from a variety of services and documents. Some of the choices are listed below. A complete price list is on the Resume Services Price List page. Our most popular package includes the following items, but you can add or subtract from this list. An ASCII version (text format) of your resume, for online applications and postings is included with all resumes – Please note that the format will be slightly different and this document usually includes key words to optimize for automated HR systems. Career development and coaching customers receive additional resources and information developed one-on-one based on your needs. 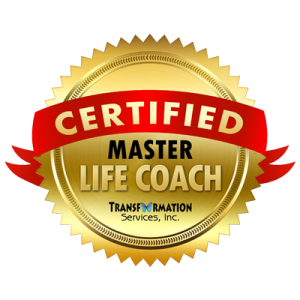 All coaching and resources are created for you, targeted to your needs and career goals, whether you want to transition to a new career or move to a new location. We’ll find a strategy that works!